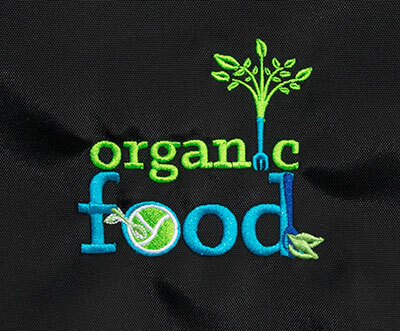 With our embroidery, patch, and woven emblem technology, you can add logos, names and numbers to multiple locations on almost every RefrigiWear garment. We control the entire embroidery process—from digitizing all the way through packaging—to ensure superior quality and timeliness of your order. Depending on the garment, choose right and left chest, right and left sleeve, back and leg locations, for embroidery. Direct Embriodery. Premium apperance and professional look of embroidery. This is our most requested option, and with color matching, we can create an exact match for your logo and brand. Pantone® color matching. With thousands of Pantone colors to choose from, we can ensure your embroidery will match your logo exactly, so your image stays consistent. Durable and long lasting. Embroidery usually remains intact for the life of the garment, and threads are color-fast for a significant length of time with typical wash and wear. Self-Patch Emblem. Self-patch utilizes a swatch of the same material as your garment for an embroidered patch. This ensures a match to your garment for a clean look. 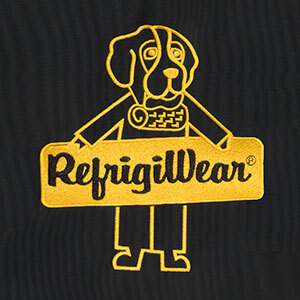 With the help of RefrigiWear's embroidery department, you can also use this method to replace an existing patch with a new one to re-used garments (e.g., adding a different name). Woven Emblem. Woven designs give you greater flexibility on a patch that is sewn onto the garment. 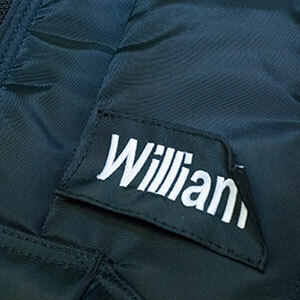 With a woven emblem patch, you can capture great detail and can also replace it using RefrigiWear's embroidery services. HiVis Emblem. 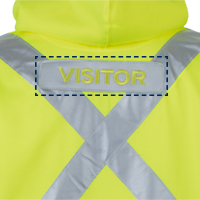 Customize your HiVis gear without compromising ANSI compliance with RefrigiWear’s HiVis Patches. 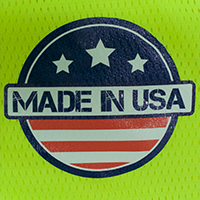 The patches come in three colors – HiVis Lime, HiVis Orange, and Reflective Silver – and two sizes. Letters and logos can be embroidered in any color. Click here to learn more. Screen Print. Read more about our screen-printing capabilities.